We looked at the top 1 French Presses and dug through the reviews from 4 of the most popular review sites including Get A Coffee Maker, Prince La and more. Through this analysis, we've determined the best French Press you should buy. In our analysis of 42 expert reviews, the Secura Secura Stainless Steel French Press placed 7th when we looked at the top 9 products in the category. For the full ranking, see below. 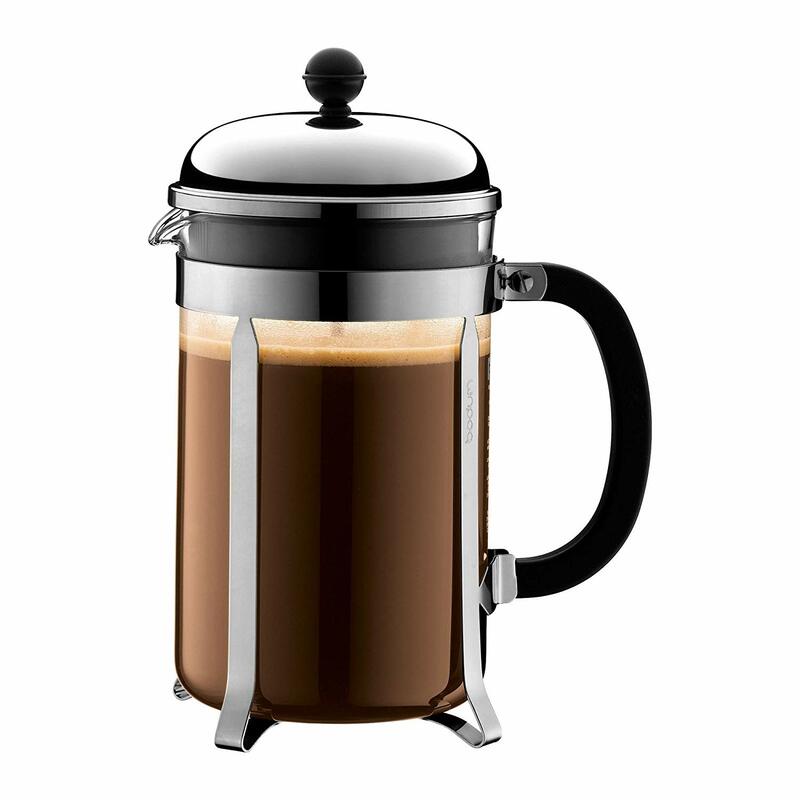 Checkout Secura Stainless Steel French Press for a detailed review of all the top french presses. This coffee maker is one of the best French press coffee makers out there because of its fairly exceptional price which is quiet reasonable for something so good. The stainless steel construction will keep your drink hot while the specially engineered knob and handle will prevent your hands from being burnt. The triple-layered filter is where this French press stands tall and you’ll get no sediment seeing through to spoil your morning coffee. You can easily assemble and disassemble the filter screen for choosing the texture of your coffee. The only notable downside is that you’ll need a bit of elbow grease to operate the plunger. The Secura French Press Coffee Maker couldn’t keep coffee warmer for a longer period of time. 18/10 stainless steel interior and exterior, double-wall construction for superior thermal retention. 3-layered Stainless steel filter traps the smallest coffee grounds to produce an exceptional, full-bodied flavor. The filter is easy to disassemble and clean. Cool touch handle and knob for comfortable and safe pouring. 34 ounce/ 1000ml capacity. BONUS Stainless Steel Screen. Dishwasher safe.